TRUMPET PEDAGOGY: A Compendium of Modern Teaching Techniques is the largest and most complete book ever written about trumpet playing. 503 pages. DIGITAL ONLY! 369 photos; 89 illustrations; dozens of music examples. 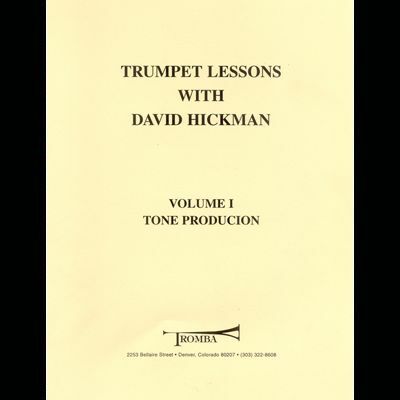 David Hickman is considered one of the world's finest trumpet pedagogues with 45 years of university teaching. A must for all serious players and teachers! THIS BOOK IS PERMANENTLY OUT OF PRINT IN HARD COPY, but is available as a digital download. Because the file is much too large to email, it must be sent via WeTransfer, usually same day. WHEN YOU ORDER HERE ONLINE, make sure that your email address is correct. We will send the book to you in digital form, and you will receive an email from WeTransfer that will allow you to download it. The book used to sell in hard copy for $89, but is now much less expensive. 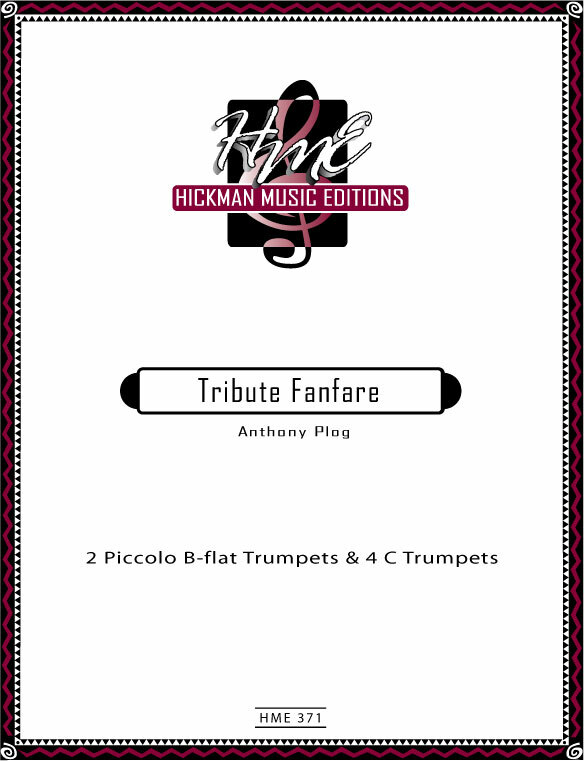 A festive fanfare for 2 B-flat piccolo trumpets and 4 C trumpets (duration: 1:10) by one of the top brass composers in the world. Difficulty: Grade V Full score (concert pitch) and 6 parts included. 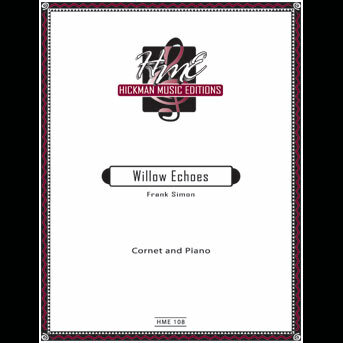 Now that HME publishes the full string orchestra parts and score for this wonderful early Classical concerto (see separate listing in this category), we also offer for purchase the score only (no parts). Neruda's popular early Classical concerto has been recorded and performed many times. 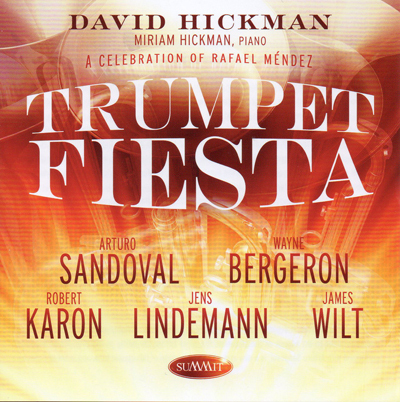 David Hickman's edition is available with string accompaniment (666.41). 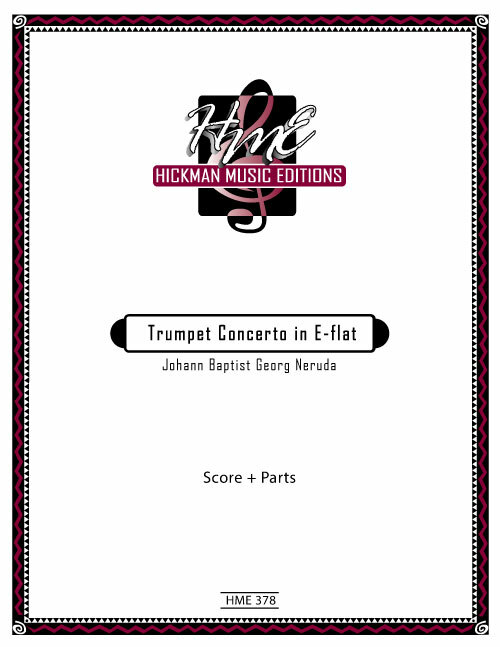 Solo parts for B-flat and E-flat Trumpet, plus Score, and string parts included. (Also available for trumpet in B-flat or E-flat with piano reduction. 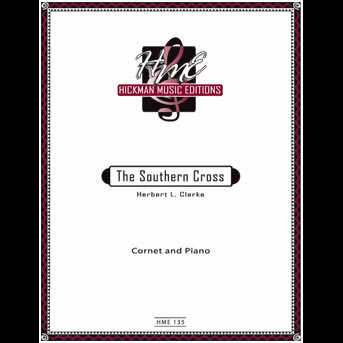 See "Trumpet and Cornet Solos with Piano category.) Difficulty Level: V- Score may be purchased separately (see other entry this category). A festive work for 5 B-flat trumpets, this work is playable by good high school or college students. Dr. Jason Dovel is the professor of trumpet at the University of Kentucky. Nice audience pleaser! NEW! A new and exciting book with 2,212 biographies of important trumpeters since the year 1542. The book is 1,128 pages in length and contains 2,513 photos (118 in full color) and represents soloists, orchestra players, jazz musicians, instrument designers and manufacturers, teachers, historians, authors, band and chamber players, studio and freelance artists, etc. 64 countries represented. 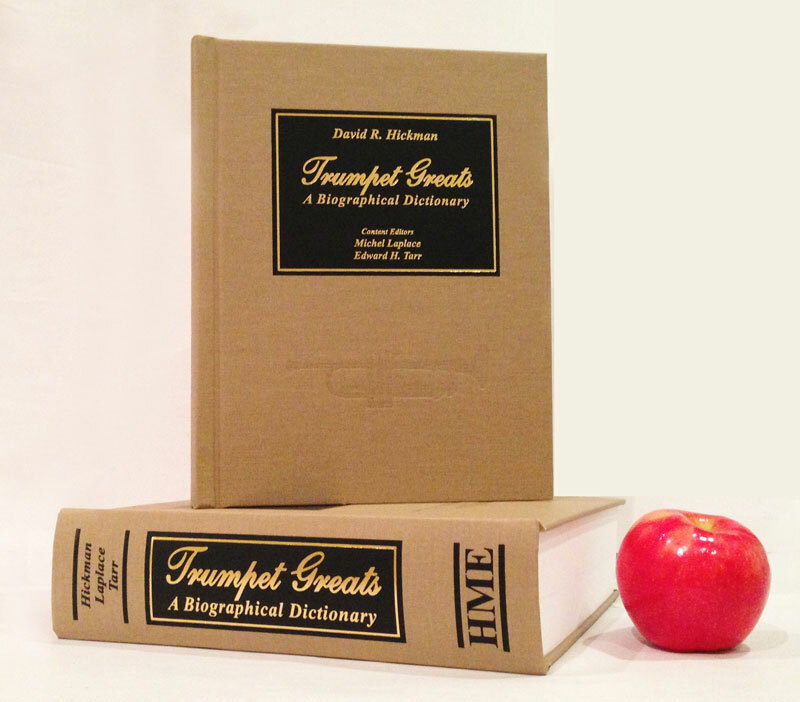 A MUST HAVE for all trumpet players, teachers, and enthusiasts! Hard cover, cloth, 8.5 X 11 X 2.63 inches. NEW!NEW!DIGITAL COPY available for $39.95!! The file is too large to send as a PDF, so email us to arrange for getting a copy via WeTransfer. Concise and informative advice on Breathing, Relaxation, Posture, The Oral Cavity, Vibrato, Breath Attacks, Whisper Tones, and more. Published in 1989 by Tromba Publications.